This week’s chapter explored social learning, ‘push’ and ‘pull’ paradigms, and building platform for social learning. I will focus on two points relevant for me in this chapter: First the proposal to shift push paradigm toward pull paradigm. Second the relevance of passion as a success factor in social learning. I found at the same time interesting and intriguing the shifting paradigm from push practices to pull practices. I tend to be cautious to extremely different approaches where the benefit of the new focus are exalted over previous learning theories. Since I found the importance to incorporate programs focusing on emerging learning demands logical as a effective approach to “achieving innovation, sustainability, and success at both institutional/organizational and personal levels” (Hagel et al. 2010 cited in Lankshear and Knobel, 2011 p. 226) I have personal hesitations toward shifting totally away from the previous planning approach (or push model as the authors mentioned). I believe in the importance of large-scale planing and programming development. I think both models can work together providing adequate solutions to the various curriculum developing demands and flow in constant adaptations of constraints and resources each educational designer will face during the educational process. Rather than confronting both approaches in mutual excluding practices, I think it would be more beneficial to learn in practice how to identify which components of both are key to support building collective knowledge, innovation, and productiveness, which are in my understanding the ultimate goal of social learning. I agree with the statement proposed to be discussed that it will always be necessary for some push involvement in education. I visualize push and pull models as an iterative process where the last level of pull achieved is the advanced outcome desired. The authors pointed out how passion is the driving force to success in social learning. During a previous experience exploring affinity space I concluded that participants’ passions about specific topics is the most important element to establish solid online presence and be a successful contributor in online groups. I was missing another element of success: persistence. Lankshear and Knobel explained how the ability to innovate presupposes mastery within an area of domain, in practice this implies dedicating time to practicing, learning, exploring, applying, experimenting and so on to become an expert. The authors summarize the successful social learning experience in this idea: “… mastery presupposes ‘persistence’. Persistence, in turn, requires passion”. (Lankshear and Knobel, 2011, p. 224) What can be the real implications for education? How can we help students to identify their passion? How to encourage persistence in the current social learning where the tendency is to change and innovate constantly? focus to the task at hand; simulated proximity to the communicators; and close transparency of medium.” In my opinion these findings are a solid start point to build multicultural platforms for social learning. Lankshear, C. & Knobel, M. (2011). 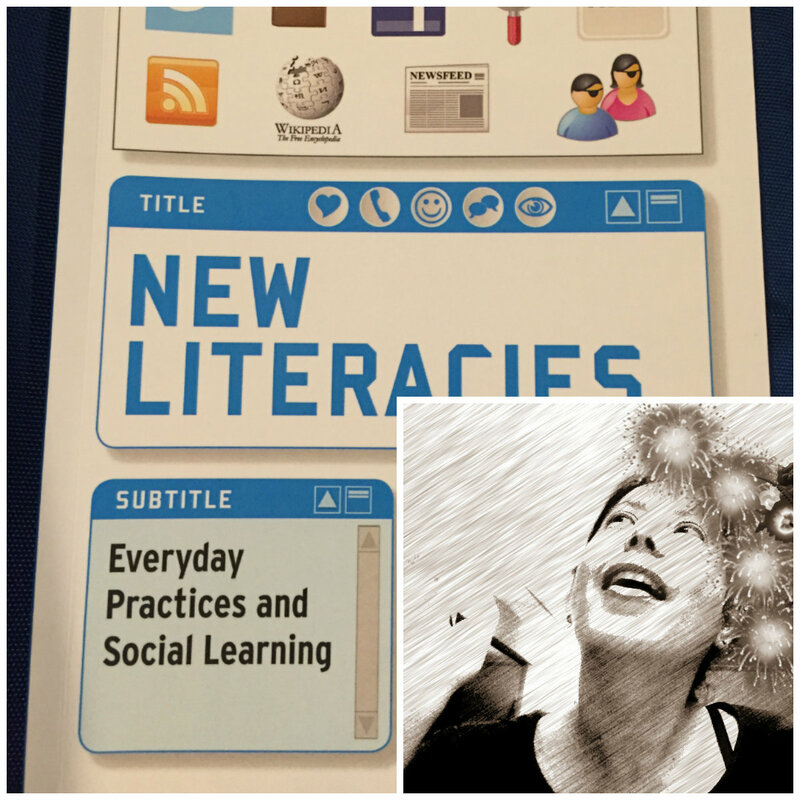 New Literacies: Everyday Practices and Social Learning. New York: Open University Press. The following comment really hit home with me “How to encourage persistence in the current social learning where the tendency is to change and innovate constantly?”. This is the one thing I struggle with in my education practices. Many students don’t have persistence because they are used to information at their feet. You almost wonder why we need an “education” when you could just live day to day and google anything you have a question about. If I need to fix my sink, I find a video on youtube, learn how to fix it, and fix it. Because of this many of my students don’t like being told what to learn however if we gave them the choice to explore what they choose, I am unsure if they would explore that in depth either. Rosanna, I think you answered some of your own questions through synthesis with cross-cultural collaborative learning. I also think there are underlying modes of learning and communication that is innate to all human beings. Whether this is applied to ‘new literacies,’ to me, doesn’t matter in regards to crafting identities. What I am referring to is Howard Gardner’s Multiple Intelligences Theory, briefly mentioned in chapter 7 of the L&K text. This theory suggests we all have different types of intelligences which are expressed in different ways. As we are socialized, mostly through schooling, a sense of one’s strengths develop. I think it’s important that, we as educators, give our young students the ability to work through all of these various intelligences to craft a sense of being which then can be applied to problem solving in the ‘new literacies’ realm. Once students are of an age where they can begin to craft their online persona through social learning they may have the ability to change mindsets and innovate rapidly because they were ‘brought up’ experiencing, art, dance, theatre, music, science, technology, nature, math, literature, etc. They know what their strengths or weaknesses may be so they can develop an online social learning persona through the previous practices learnt in their young lives. In summation, we need to give students the ability to appreciate all forms of intelligence and self-assessment in order to find passion that drives social learning. I think the question you posed about “How can we help students to identify their passion?” is something most teachers probably struggle with. For this class we were supposed to pick a focal theme and looking back I don’t think I would have picked the same topic as I did (exploring Denver) if I knew what this class was going to be about. It is often difficult to dive into topics I think when you aren’t sure what the end result is going to be. I had to laugh when I saw Erin’s comment above – I was about to paste the same sentence into my comment! It jumped out at me, too. The pull paradigm, employed poorly, could well lead to dilettantism. I agree with you that education will probably evolve to have a blend of the push and pull paradigms, and that could be a great development. Erin is right that students don’t necessarily have a passion for the kind of pull experience we would like them to have. I think this is the job of the teacher – we can’t instill passion, but we can engage, we can model, and we can be prepared to employ the pull paradigm at the first spark of passion. I love that last quotation. You make the parallel with Gee & Hayes quite clear.